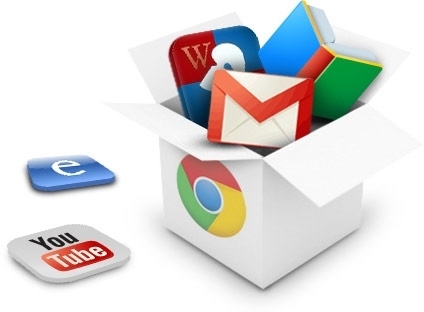 The Chrome Web Store contains numerous apps, games, extensions and themes that can be installed in the Chrome browser. Apps and extensions make for a more powerful browsing experience. Chrome apps are usually just links to websites, whereas an extension is anything that "extends" the global capability of the Chrome browser. For example, Evernote Web Clipper is an extension that can be used to take screenshots and annotate any webpage. Users do not need to visit Evernote's website directly prior to using the extension. Many apps and extensions require users to be connected to the internet, but each day more and more are developed with offline capabilities.